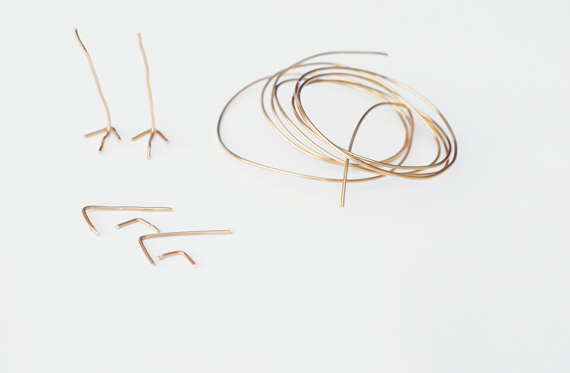 What do you get when you cross ribbon fringe with copper feet, then add a wooden ball body? 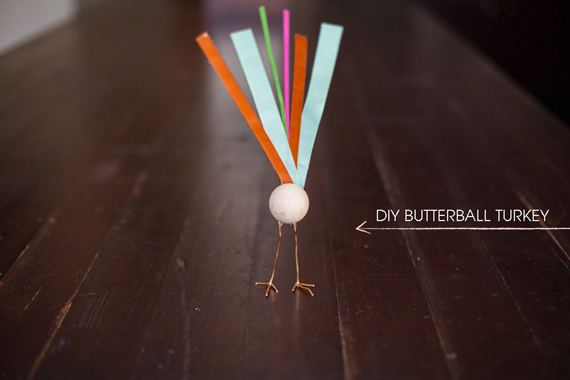 This adorable butterball turkey – that’s what! 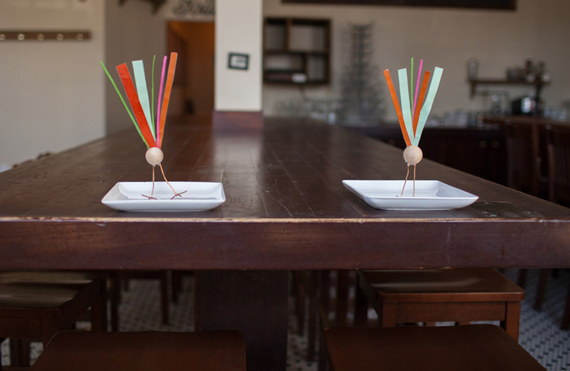 This is a fun project to add to the Thanksgiving table as place cards, favors, or just an ornamental piece of cheer. 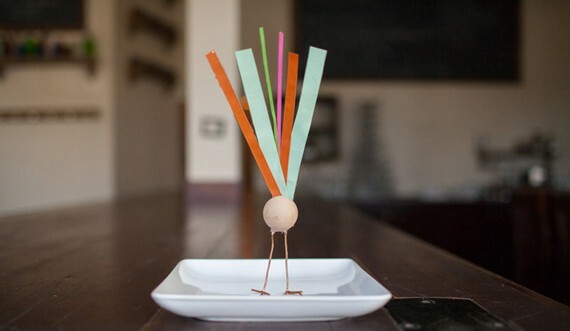 To make the butterball turkey: First, form the legs out of thin copper craft wire. Dredge the ribbons in fabric stiffener and let dry in formed shape. 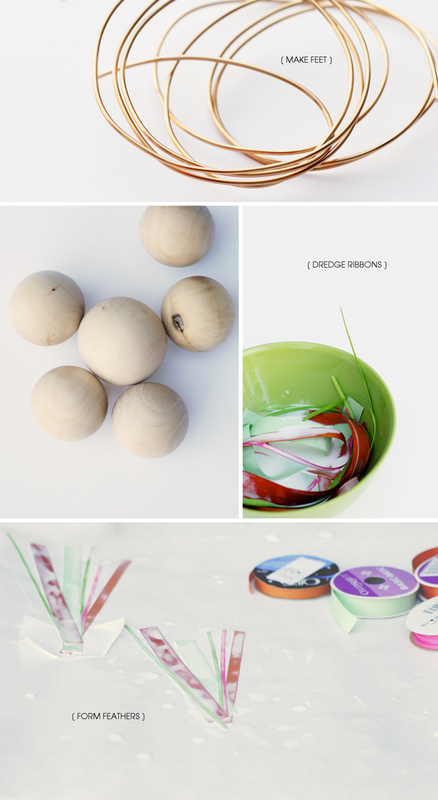 Once they are dry, attach them to a wooden craft ball with glue and let dry. PS. 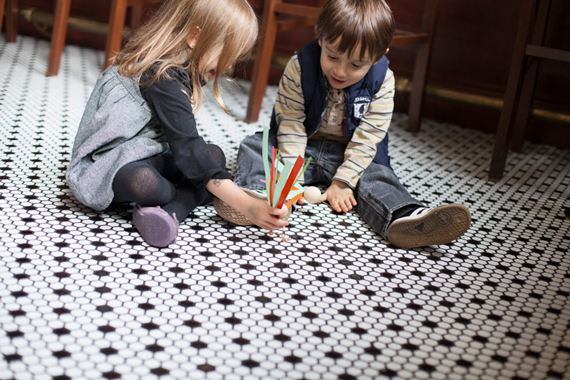 Wouldn’t the turkeys would look great on these place-mats? Why do they not have heads?